...and that we did. We're pleased to tell you that Peace Walker is on its way to becoming a definitive game for the PSP in terms of innovation and overall enjoyment. Unfortunately, the co-op in the demo is a bit lacking...but the groundwork is there for a great experience. Before I got to play, I was treated to a number of cutscenes, both interactive and graphic novel style. 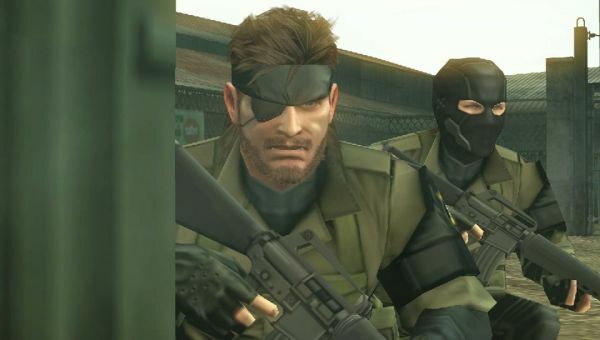 These can all be skipped, at the cost of a blank load screen each time...it looks like the notorious MGS cutscene annoyances will still be present. I will say, though: I was impressed by the graphic-novel-esque scenes, despite not having the ability to understand Japanese. Upon dropping into the first mission, I found myself amply equipped with a knife and taser for close quarters, an M-16 rifle and silenced pistol for ranged combat, and grenades for -- well, in addition to the obvious -- knocking down a locked gate that provided access to the next stage of the mission. It's important to note that each stage has quite a bit of area to explore. Sure, you can follow the linear path from one end to the other...or you can scope the area for ammo and other goodies. This also allows more methods of approach when eliminating or avoiding guards. The amount of choices are finite, but impressive. According to GameSpot's preview, some stages will even have denied-access areas that can be revisited once the proper items or abilities have been obtained. I was comfortable with the default controls for Peace Walker: the analog nub moves Snake (Big Boss? ), and the face buttons move the camera/aiming reticule. The right shoulder button is used for melee, and serves as your trigger when aiming with the left shoulder button. Reloading, changing weapons, crouching, taking cover, and more...are all mapped to the D-pad, which has a second tier of controls activated by holding the appropriate D-button. If these controls don't suit your fancy, there is a second configuration available, and possibly a third to be included at retail. As far as I could tell, the combat was bloodless, opting instead for a stylish splash of light blue that also displayed hit points. It was oddly satisfying, and I anticipate a Teen rating or equivalent (currently, the ESRB does not have a listing for Peace Walker). Aiming is simple but slow; there is an auto-aim feature if you're the type that has no patience. After you take down an enemy, you can loot their corpse for equipment and ammo. Once past the first stage, I was taken to a screen where I could select the next stage or go back to any that I'd already played. This is where you will be able to access the co-op missions. There are three types of stages in Peace Walker: single-player missions, two-player co-op sneaking missions, and four-player co-op boss battles. To me, that sounds like a great balance...after all, trying to sneak four people through a stage sounds frustrating, whereas trying to take down a tank boss with just two sounds like suicide. 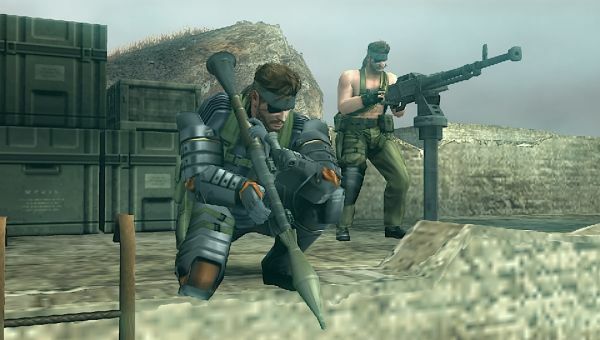 When loading out for a co-op mission, players can choose their outfit (Jungle Camo Snake, Sneak Suit Snake, Heavy Combat Snake, or Naked Snake), each of which comes with its own unique abilities and equipment. Once in the mission, each player has a not-so-subtle circle around their character. You can use this for a number of things, including sharing items and ammo. According to Eurogamer, different paths will be available depending on how many players are in the mission. 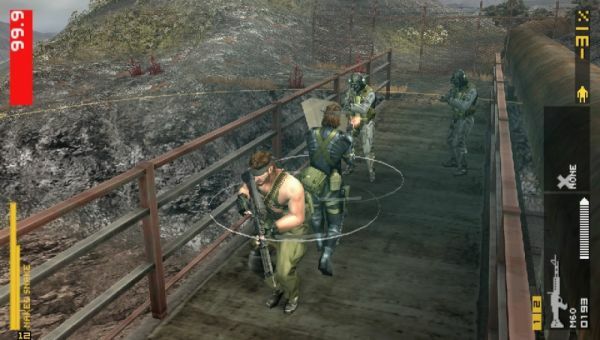 There are also some very cool co-op features that hearken back to Army of Two, such as the Snake Formation, where two or more Snakes can link up; the lead Snake controls where the Formation goes, and the rest have fully directional fire control, serving as human turrets. There are more co-op moments like this (remember the co-op box hiding? ), ensuring that hilarity will ensue while vanquishing enemies. Admittedly not a die-hard fan of the Metal Gear games, I consider myself an outsider looking in. By bringing co-op to the series, Kojima Productions is making Metal Gear Solid: Peace Walker more inclusive for the outsiders like myself. I am very much looking forward someone showing me the ropes in proper fashion. Page created in 0.4297 seconds.